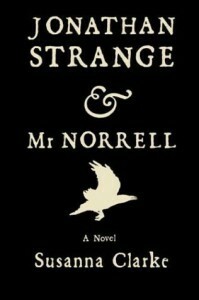 Jonathan Strange & Mr Norrell, Susanna Clarke, Bloomsbury USA, 2004, ISBN 9781582344164, 782pp. The joy of this book is not in its length, for it is too long, but for the fully-formed world and the arch manner of the writing. Too many people have tried to compare this to Harry Potter for some very superficial similarities: it’s set in an England where magic works, the author is female, and the book is a brick. But this is not a children’s book, albeit those weaned on Potter might find this interesting if quite slow in comparison, for Clarke’s method is much more subtle. This is a comedy of manners in the traditional sense. In Rowling’s world, we’re never going to see Draco Malfoy as a sympathetic figure, yet the complex character who is Mr Norrell comes across as equally malicious as Malfoy at times and yet also quite sympathetic at others. He, and Strange, and most of the rest of the characters in this book are entirely too human, who do stupid things and smart things and they are never quite sure which is which during the action thereof. Mr Norrell is the last practical magician in England, who is determined to be the only magician as well, because all of the others are charlatans and theoretical. He’s a vain man, who wants to restore England to glory through magical means, but only if the means and ways are those that he approves of. Norrell is also quite naive, and quickly is surrounded by a pair of handlers in the high society of London who use him much more than he uses them in their employment. A combination of Norrell’s misuse of his own magic (in a severe lapse of judgment) and the arrival of Jonathan Strange, a ne’er-do-well turned magician through natural aptitude, who joins Norrell as a pupil, that proceeds to give the book its slight plot. While nicely resolved at the end, it is the examination of the characters and the world that is of more interest, as Clarke does a wonderful job of creating a magic realist alternate history, where the magic, while unnatural, isn’t viewed with alarm by people, but taken as it comes. This is Clarke’s first published novel, and I’m somewhat surprised it didn’t have an editor trim it down, but this may very well be due to Rowling’s proof that the marketplace can embrace 800 page novels. I look forward to her next, as this novel holds promise for a bright future for her.